Disk one takes us back to Las Vegas in August 1970. As times goes by, we have lots of stuff from this period, and also rehearsals before the event. This period is covered by RCA, and we have takes here on albums like That's The Way It Is, The Essential 70's Masters, Elvis Aron Presley (Silver Box) and Platinum. In addition there have been released several bootlegs from this period, most recently a double CD from Rock Legends - Double Dynamite (August 19). 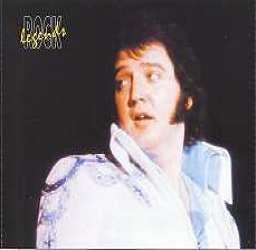 And also Dinner Date With Elvis (August 20), along with bootlegs from August 14. This CD gives us the Dinner Show from August 21. Elvis is really good in this period, and this concert is no exception. Strong versions of songs like 'Tiger Man', 'You've Lost That Loving Feeling' and 'I Just Can't Help Believing', to mention some. However, I must say that until a soundboard from this month is released, I will not welcome anymore of these releases. The sound quality just isn't good enough. It is for an audience recording a very good release, but it is still an audience recording. Disk two, however, gives us a soundboard recording. Though not a good one! If you have heard A Damn Fine Show, you have heard this one too! The sound quality is almost the same, though a tad better on this release. However, the mix is flat as no tomorrow and all in all very boring. The piano and Kathy Westmoreland is way up front. Elvis isn't up to it this day either (As on A Damn Fine Show). Based on the two releases we have, something tells me that this wasn't at good period in Elvis' life. 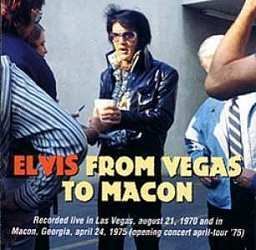 I have always liked Elvis in 1975, but the April concerts reveal something, that would be more typical later, in 1976. Elvis seems bored and tired. In my opinion only 'My Boy' is well delivered. This version is much better than the one on A Damn Fine Show. Especially 'Promised Land' is lousy. We have yet to have a good live version of this. Also 'It's Midnight', often a highlight, is weak. 'Fairytale' is not bad, but still very weak compared to versions from Spring 1975 in Vegas, and June 1975. 'T-R-O-U-B-L-E' is awful, really! Before Elvis manage to finish 'I'll Remember You' that tape runs out. Just as well. This release is not essential at all. Use your money on something different. If you really needs something from August 1970, spend it on e.g. Double Dynamite.